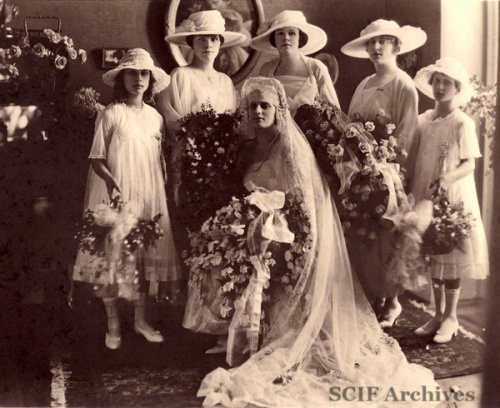 on her wedding day in 1919. IMBODEN, Carolyn Sylvia Gherini (1893-1933), San Francisco-born younger sister of Ambrose Gherini, who hanged herself at Scorpion Ranch on the east end of Santa Cruz Island. She was 40 years old. She had married Daniel Carrington Imboden (1891-1965) in 1919 in San Francisco. Hers was the first death of a woman on Santa Cruz Island recorded in historic times. When she was found, members of the Gherini family rode to the Main Ranch to seek assistance from the Company schooner Santa Cruz. Interestingly, it was the only time in memory after the partition lawsuit between these family members that the two factions again met on the island. The schooner Santa Cruz delivered the body to Santa Barbara.